Flying Pig Adventure Company is wholly committed to sharing our passion for adventure around Yellowstone National Park. Offering guided Montana whitewater rafting trips, horseback rides, wildlife safaris, Yellowstone vacation packages and cowboy cookouts at the North Entrance to Yellowstone Park. Beginning in 2016, we are proud to offer winter tours to our guests as well. Winter time is a special time to explore the northern range of Yellowstone Park. There are fewer visitors and great opportunities to view wolves and other exciting wildlife and scenery. We offer road based SUV tours and, for those who want to explore off-road, unique snowshoe tours. Let our expert interpretive guides take you out for a wonderful winter adventure in the world?s first national park. We will accommodate whatever suits your style and activity level. We are excited to offer guided cross country (XC) skiing in Yellowstone National Park. Each of the below snowshoe trips can be customized to accommodate XC skiers. To plan your trip, please contact the shop. 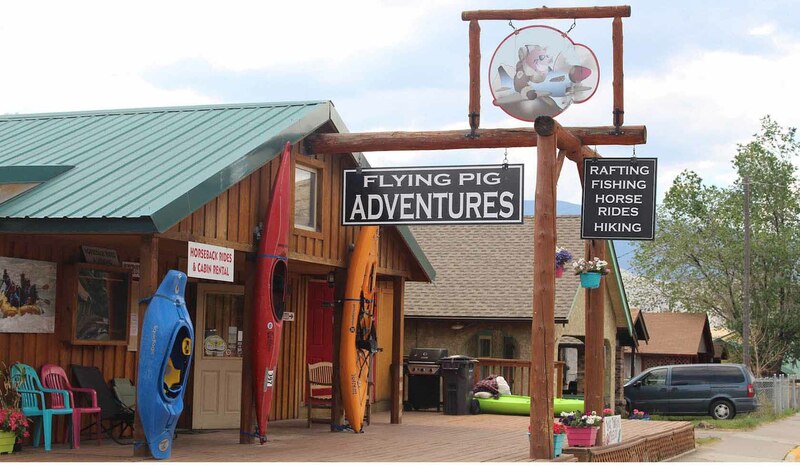 Make the Flying Pig Adventure Company a part of you family's vacation!